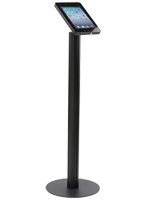 This iPad Kiosk has a Secure Locking Enclosure! 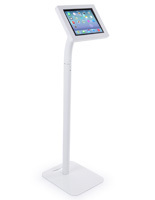 This Stand Can be Displayed in Portrait or Landscape Format! 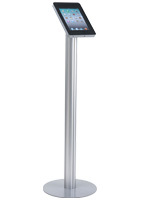 This Apple iPad Kiosk has a Brushed Silver Finish! Speakers are still able to be used even when table is in the case. 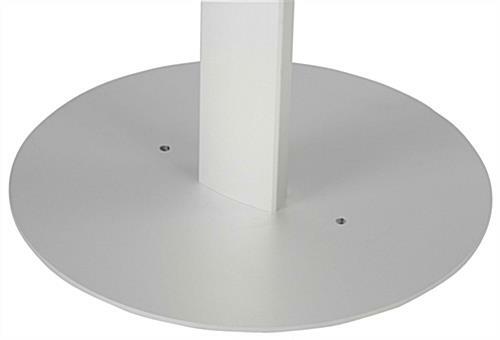 Ideal for stores or commercial settings. 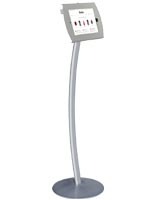 Cord mangement system for organization. 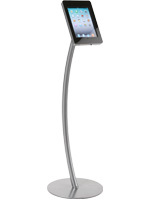 This iPad holder with steel base stands at almost five feet tall. 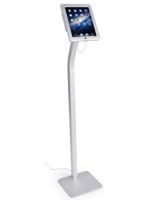 Each unit comes with a holder for multiple generation iPads. This iPad holder has vents at the bottom to prevent overheating. 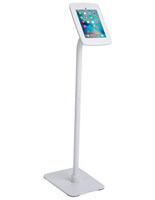 The in-stand cord management keeps wires organized. This iPad holder covers the home button to prevent tampering. Each case can be turned in portrait or landscape fashion. 16.0" x 56.0" x 16.0"